Dermaplaning is a painless physical exfoliation treatment that involves removing fine facial hairs as well as the top layers of skin. Contrary to popular belief, these hairs will not grow back in thicker or with stubble. Dermaplaning treatments result in smoother skin with the reduction of "peach fuzz." 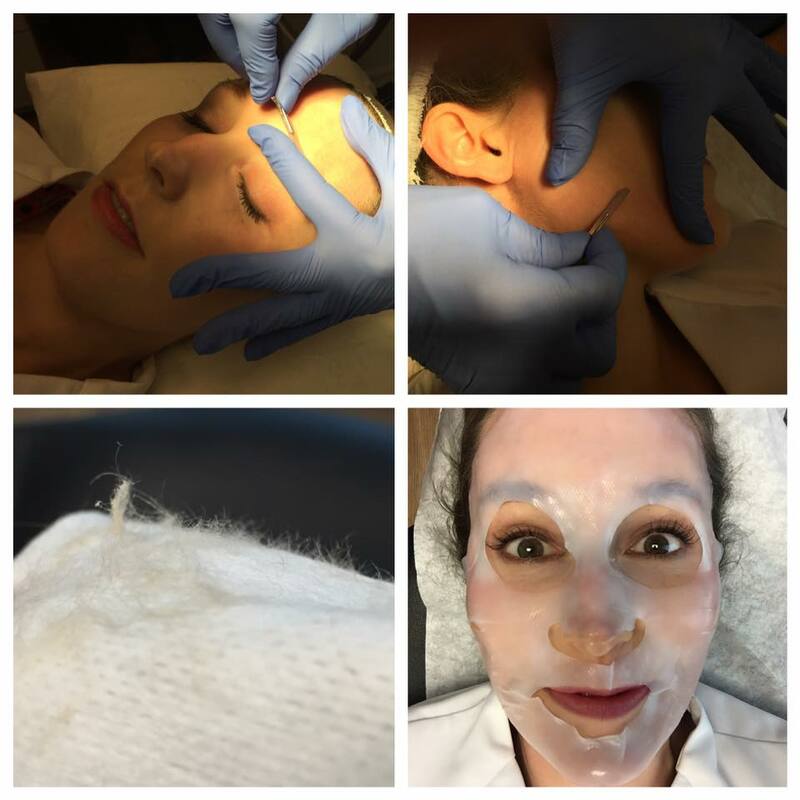 Dermaplaning gently exfoliates and removes fine facial hairs, leaving smoother, softer skin. You will notice immediate results and with no downtime, you can resume normal activities following the treatment. A dermaplaning procedure consists of three steps. First, our skilled estheticians wll use an exfoliation tool to safely and evenly remove the dead cells and fine hairs or "peach fuzz" on the outer layer of skin.They do this with light, feathering strokes applied with a special blade to the surface of the skin. Then an exfoliating solution is applied which will result in hydrated skin with a soft glow. Finally, a biocellulose masque is applied which creates continuous soothing of the skin. The entire treatment lasts 30-40 minutes and a series of treatments is recommended every 4 to 6 weeks. Dermaplaning is safe, effective, pain-free and requires no downtime. If you are interested in learning more about dermaplaning or to see if you are a candidate for this procedure, contact our office at (407)352-8553 to schedule a complimentary aesthetic consultation.